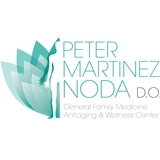 Peter A. Martinez-Noda, DO., PA (Miami) - Book Appointment Online! Our dedicated and knowledgeable team strives to provide the highest standards of care to our patients in a welcoming and professional environment. Here you will find expert staff you can count on to serve you in all your healthcare needs. We will make every effort to see that your visit is informative and beneficial for you and your family to live healthier, happier lives. We look forward to building a relationship with you and your family!